The sleek Dynamic... it turns heads where ever it shows up and Sebring 2010 was no exception. First appearing in the USA as a retractable aircraft, this video review looks at the straight-legged SLSA model that appears to lose none of its speedy lines. Beautifully finished, the all-composite Light-Sport deserves a closer look but we'll show you around the basics. The sleek Dynamic… it turns heads where ever it shows up and Sebring 2010 was no exception. First appearing in the USA as a retractable aircraft, this video review looks at the straight-legged SLSA model that appears to lose none of its speedy lines. Beautifully finished, the all-composite Light-Sport deserves a closer look but we’ll show you around the basics. Most of the FAA-assessed companies told LAMA officials they feel they performed well under the agency's microscope. 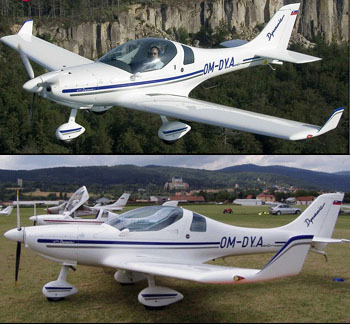 Photos (top left, clockwise): Sport Aircraft Works Dynamic; Gobosh G-700; X-Air LS; Paradise P-1 (backdrop). In FAA's official letter sent by John Colomy, Acting Manager of the Small Aircraft Directorate, the Federal Aviation Administration states, "The majority of facility assessments are now complete and the FAA is confident that LSA manufacturer's compliance can match that of the commercial aviation manufacturers." Colomy continues, "This will be a major accomplishment since using consensus standards and compliance self-declarations is a new way of doing business for the LSA industry." Well, actually, this is the only way the LSA industry has done business. It is "a new way" for the FAA to do business... and congratulations to this federal agency for stepping back from their normal regulatory control. *** At a briefing to industry officials including myself, FAA said they had finished 23 of 29 planned assessments. While FAA was generally pleased with industry participant cooperation and with the compliance of aircraft to the standards, officials conclude, "It is evident that there remain areas for improvement." How could it be otherwise? We have an industry barely four years old while Cessna, for example, has had 80+ years to get it all right. 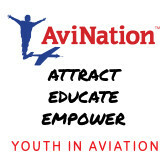 While a few rocks may still litter the path to success, I'm confident industry and organizations like LAMA will coordinate to make this newest aviation segment a success. *** Questions on the assessment? Click to email FAA. 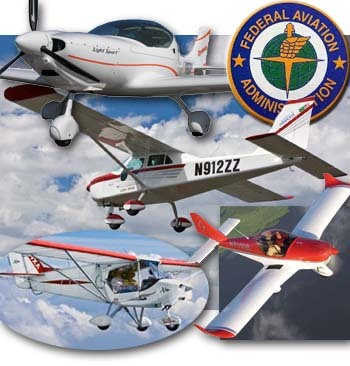 In FAA’s official letter sent by John Colomy, Acting Manager of the Small Aircraft Directorate, the Federal Aviation Administration states, “The majority of facility assessments are now complete and the FAA is confident that LSA manufacturer’s compliance can match that of the commercial aviation manufacturers.” Colomy continues, “This will be a major accomplishment since using consensus standards and compliance self-declarations is a new way of doing business for the LSA industry.” Well, actually, this is the only way the LSA industry has done business. It is “a new way” for the FAA to do business… and congratulations to this federal agency for stepping back from their normal regulatory control. *** At a briefing to industry officials including myself, FAA said they had finished 23 of 29 planned assessments. While FAA was generally pleased with industry participant cooperation and with the compliance of aircraft to the standards, officials conclude, “It is evident that there remain areas for improvement.” How could it be otherwise? Aerospool's Dynamic with fixed gear and prop becomes the company's entry to Special Light-Sport Aircraft. More info. Read my 2004 pilot report on the retractable gear version. 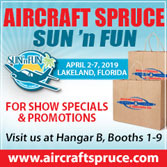 SEBRING 2008 UPDATE -- Sport Aircraft Works, importer and marketer of the fast-selling SportCruiser, will announce an LSA version of their Dynamic WT9. Previously, the retractable speedster (174 mph max cruise) was only available as a kit but the Slovak designer decided to pursue American SLSA certification at 550 kg (1,212 pounds). [UPDATE: Dynamic won SLSA approval on January 8th.] *** As part of their effort to meet the standards, the Aerospool Dynamic underwent spin testing by company test pilot, Jozef Chupek. "He finished this task without any undesirable control behavior," reported the company. 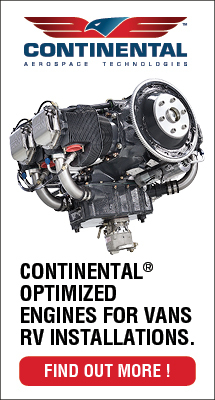 Testing was done in a variety of CG load and control input configurations. "All testing situations were recoverable using normal spin recovery procedures," Aerospool added. "Spin test flights were flown with our standard aircraft; we didn't make any special modifications [other than] safety elements such as spin recovery parachute and ejectable cockpit." Testing was observed by members of the Slovak Civil Aviation Authority. See the spin test video (scroll down). *** Dynamic SLSA won't just be a slowed version of the retract model. The revised WT9 features modern winglets (photos). "With new winglets, its slow speed envelope is even more impressive," reports Sport Aircraft Works. Check the specs and head to Sebring in 10 days and see it for yourself! SEBRING 2008 UPDATE — Sport Aircraft Works, importer and marketer of the fast-selling SportCruiser, will announce an LSA version of their Dynamic WT9. Previously, the retractable speedster (174 mph max cruise) was only available as a kit but the Slovak designer decided to pursue American SLSA certification at 550 kg (1,212 pounds). [UPDATE: Dynamic won SLSA approval on January 8th.] *** As part of their effort to meet the standards, the Aerospool Dynamic underwent spin testing by company test pilot, Jozef Chupek. “He finished this task without any undesirable control behavior,” reported the company. Testing was done in a variety of CG load and control input configurations. “All testing situations were recoverable using normal spin recovery procedures,” Aerospool added. “Spin test flights were flown with our standard aircraft; we didn’t make any special modifications [other than] safety elements such as spin recovery parachute and ejectable cockpit.” Testing was observed by members of the Slovak Civil Aviation Authority. The Dynamic features a canopy that hinges forward and is supported by twin gas struts to protect in heavy wind conditions. The Dynamic's cabin measures 46 inches wide, more generous than many of the popular high-performance homebuilts. The stick is located aft of the seat's leading edge in a cutout. 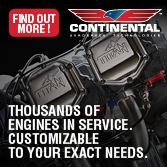 Engine options include the 80-hp Rotax 912, the 100-hp 912S and the 115-hp 914 turbo. In addition to the retractable-gear version the author flew, Skyshop plans to import a fixed-gear Dynamic. The company hopes it will qualify as a light-sport aircraft. The Dynamic's instrument panel is large enough to support the usual flight instruments plus whatever avionics you might like to include. 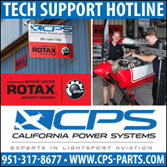 When powered by a Rotax 912S, the retractable-gear WT-9 Dynamic is capable of cruising at about 170 mph. Behind the seats, a good-size cargo area is available. Skyshop says it can hold up to 60 pounds, depending on other loading requirements (people and fuel). Slippery! The author noted that pitch was sensitive while cruising at high speed; consequently, stick movements should be quite small. While many American pilots focus on SportPlanes™/ light-sport aircraft (LSA), sales of amateur-built kits continue. As the government crawls toward release of the new rule, the WT-9 Dynamic from Aerospool is one that might go both ways. You might choose a fixed-gear, Rotax 912 80-hp model that U.S. importer Dan Defelici believes may meet the proposed regulation. But today you can buy a retractable Dynamic and build and fly the speedster around the U.S. under the 51% rule. Since LSA will probably not allow retractable landing gear, flying a retractable WT-9 will require more than a Sport Pilot license. Getting Some Help The 51% rule intends that the owner of a kit airplane should build more than half of the plane. The FAA has created extensive checklists to assure that a wide variety of kits meet this rule. Factories often do the hard parts that require jigs and other special equipment. Owners do the more time-consuming parts such as pulling rivets, fashioning interiors and painting. Amateur-built is a system that has put many fascinating aircraft into the air, but it's a labor of love (or a love of labor). Unfortunately, abuses have been uncovered. Some shops are willing to do much of the work while an owner does little more than send a check. Others have a better idea, like that of Skyshop. Skyshop's builder assistance program allows experts in a particular design to assist an owner. They won't do physical work for you, but they can be very helpful, even to the point of providing a place to work with all the right tools. "We have a new quickbuild program for the Dynamic," said Defelici, co-operator of Skyshop. 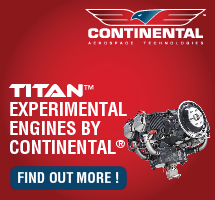 "By visiting our facility in the U.S., you will have hands-on experience in the construction of your aircraft." He added that this allows builders to meet both the spirit and letter of the 51% rule. An Overseas Project As with many light-sport aircraft, the Dynamic hails from the other side of the Atlantic. It was created by Tadeas Wala, from whom comes the WT-9 designation, identifying the aircraft as his ninth project. It is produced by Aerospool, an aviation company in the Slovak Republic. Americans are more familiar with the name Czechoslovakia, but today the area is two separate countries with the Slovak Republic occupying the east end. 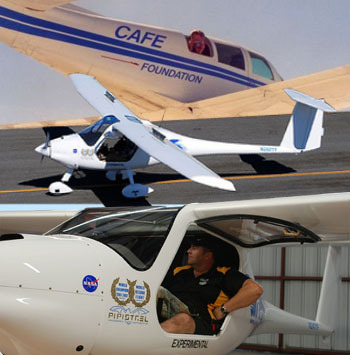 Aerospool boasts years of experience building sailplane gliders. In fact, Aerospool is one of the main subcontractors for Schempp-Hirth glider company, a famous name in that segment of aviation. Aerospool's production facilities are located at Prievidza, situated in picturesque countryside a short drive away from the southeastern border of the Czech Republic. After numerous visits, Defelici reported that "this modern facility has been producing composite aircraft and components for many years and has built a strong reputation for quality and workmanship." He added that the company is supervised by the CAA of the Slovak Republic, the CAA of the Czech Republic and the German LBA, regulatory agencies which control aviation as does our FAA. 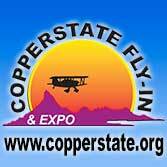 In the U.S., Aerospool is represented by Skyshop, operated by Danny and Zaneta Defelici. They're a great combination—Zaneta is a native of the Czech Republic, and Danny has been active with builder assistance programs since 1985. He has helped many Gla-Star builders get their kits into the air. Zaneta speaks the language and understands the Slovak culture, which helps Danny deal with Aerospool. While many aircraft may arrive from this part of the world, it remains somewhat foreign to U.S. citizens and the cultural divide is real. Fold 'Em Up I have many hours flying certified retractable airplanes, but many kit-built planes don't bother with the complexity. The Dynamic's retractable system compared well with certified systems. In flight, you can hear the hydraulic system refreshing itself frequently. Keeping the gear up depends on this; if the hydraulic system fails, the gear will drop down into place. The gear system has a clever feature that will put many pilots at ease. As the hydraulic system lifts the gear, it also compresses a gas strut on each wheel. Thus, should the hydraulic system fail, the gear will not only descend with gravity but will be aided by the gas struts. These struts also assure that the gear goes to the overcenter locked position, says Defelici. The gear system has no up lock. Should you approach for landing with the gear up, the Dynamic will try to warn you. If you put down two notches of flaps, the recommended procedure, a horn will sound if the gear remains retracted. Get used to using flaps, keep your ears open and you should never land on the belly. Pulling the gear up adds speed, of course, and greater speed can invite problems (that's one reason why the FAA will not allow them on light-sport aircraft). Defelici related that the factory is composed of conservative engineers. When a German pilot insisted on doing high-G aerobatic maneuvers, the engineers became troubled with such inappropriate behavior. The airplane can withstand aerobatic forces, but the company does not want its airplanes flown in this manner. Many buyers will feel comforted by a company expressing such concern. 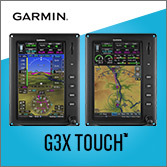 Climbing In Most U.S. pilots will find entering the Dynamic quite simple. Pilots with experience in low-wing entry techniques will appreciate a canopy that hinges forward. It is supported by twin gas struts to protect it in wind, though you'll still need to be careful in stronger conditions. The canopy works easily and locks from the outside. A lever pops it open after unlocking, with all components professionally executed. You step on the wing, step on the floor and slide down the back of the seat. The only challenge is where to use your hands for a grip in the process. The canopy is not a good choice. A handle would be appreciated, but none was available on the evaluation aircraft. Nonetheless, the Dynamic's canopy felt secure without a lot of wobble when open. Pistons on each side handle the lifting and smooth operation. From the outside you can control the opening speed using the NACA-style inlet ports at the left and right rear of the canopy structure. The Interior View The Dynamic's upholstered seats are comfortable and secure. The cabin measures 46 inches at the shoulder, competitive with the widest GA cabins and more generous than many high-performance designs. The joystick is situated several inches aft of the seat's leading edge in a cutout of the seats that still assures adequate leg support. This familiar arrangement makes for an easy joystick reach with a built-in armrest: your leg. Four-point seat belts hold you securely, and Skyshop offers a ballistic parachute with the company building in at least part of the attachment harness system. Our flight took place in early August, and the temperature was warm. Interior cooling was quite good, at first by slide-open side windows and later by integrated air vents on the top of the control panel. Defelici wanted the canopy vents closed for flight. Once aloft, the built-in air vent system supplied plenty of fresh air through outlets on the top of the instrument panel. The two-seater offers an exceptionally roomy area for items like a tent and sleeping bags. Bulky but not heavy items can be accommodated. Baggage is listed as 22 pounds maximum, yet the volume of the cargo area suggests pilots can put much more in the space allocated. In fact, you can put more luggage in the back. 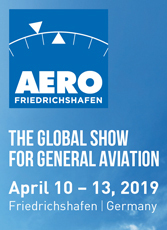 Defelici says the Aerospool engineers, long used to selling into the European market, remain stubbornly fixed on the microlight category under which the Dynamic is sold in countries like Germany. To stay within the weight restrictions of this category, 22 pounds is the maximum luggage weight you can carry. Fortunately, weight and balance calculations show you can carry 50-60 pounds, adequate for a typical trip for two people. "In fact," says Defelici, "the Dynamic is slightly noseheavy, so a little extra weight in the rear can be helpful." Handy storage hooks are provided for headsets just aft of the canopy. Rather than route wires all over the cockpit, the headsets plug in at the shelf aft of the seats. The design offers a well organized center console with trim, flaps and brakes operated by centrally located hand controls. Aerospool used an excellent vernier throttle, but with an improvement over many I've experienced in GA aircraft. When pushing the release button on the end, you can freely move the throttle forward but you still feel detents. Such a feature allows tactile movement of the lever without having to visually verify position. I loved the flap lever; it's well located, easy to move and has clear detent positions for each notch of flaps. You always use at least one notch and possibly two for takeoff or landing. I did one landing with full flaps but couldn't tell a great deal of difference from two notches. I loved the trim even more. Instead of infinite positions like many trim levers, the Dynamic uses a series of tightly arranged detents. This method makes it easy to pick a workable position and then be able to note where you had the control the next time the same situation arises. The center console has one more control that also works well for either pilot. The far left and aft lever is a brake, complete with a parking brake detent feature in the fully deployed position. With all these detents and some experience with the aircraft, you hardly have to look while moving the levers. The Dynamic does not have differential brakes, but it demonstrated a reasonable turning radius. At least with good nosewheel traction on hard surfaces, maneuvering the Dynamic works well without differential brakes. Fast in Flight Such taxiing nimbleness should have forewarned me, but I didn't grasp it immediately. The Dynamic feels light on its feet when it's on the ground. When I finally opened the throttle to 100 hp, the Dynamic jumped off the ground quickly—much faster than I expected from a plane capable of a 160-mph cruise. Shorter fields are obviously potential candidates for the WT-9. Landing was also easier than I expected. At slower speeds pitch control was less anxious and all my landings were fairly good. The area needing the most attention was speed control. If I didn't monitor it consistently, I tended to let the speed get too high. As a landing aid, Defelici says the three-blade prop creates lots of disk drag when you pull back power so that flaps need to do a bit less work. Joystick pressures were somewhat heavier than I expected, especially to my right, which revealed a lack of strength from a recently injured right shoulder. Roll rates were fairly fast but the muscular effort was not particularly light. Pitch was rather sensitive while cruising at some speed. Your movements should be quite small as action is quick. I can understand why Danny fitted an autopilot to his Dynamic. Flown by hand cross-country, this aircraft's handling will keep the pilot working. The test aircraft had a constant- speed mechanism, but it wasn't working at the time of our evaluation flight. So Defelici manually handled the fine power adjustments while I focused on flying and making only larger throttle motions. His efforts with the prop control were quite regular. I was happy to fly from the right side as this placed the prop controls in front of him (I've done a lot of instructing and am comfortable on the right). We flew around at relatively low altitudes (between 2000 and 4000 agl) on a day with fairly high heat and humidity (about 85° and 60%). Defelici said speeds at normal cruise altitudes should be 160 mph. Higher up, the Dynamic can manage 168 mph with its gear retracted, he said, while sipping miserly on the fuel source at 5 gph. Because the Dynamic carries 20 gallons of fuel, you have a 3.5-hour range with a half-hour reserve. At an average of 150 mph (allowing for climb and landing maneuvering), you can fly more than 500 statute miles before refueling. 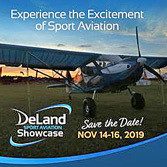 Flying from southern Florida to the Arlington airshow in upper northwest Washington state, then east to Oshkosh and back to Florida, the Defelicis have logged over 6000 miles. They carried all their gear with them including sleeping bags, pop-up tent and some airshow supplies. Though we zoomed around comfortably at speeds above 150 mph, a placard on the right side indicated that the Vne is 270 km per hour. This translates to only 169 mph, not far above speeds we saw in flight. The reason, as with the baggage capacity, relates to Dynamic sales in Europe. In fact, recalculations show that the plane's structure can confidently handle 188 mph, a more comfortable margin. The gross weight is also rising for American consumption and has been limited in Europe due only to rules in those countries. Because the airplane is so speedy, we explored that range the most. However, Defelici says of the low speed handling characteristics, "this aircraft is unlike high-speed counterparts in that final approach and close to the ground prior to touchdown are relatively low speeds with final touchdown in the mid 30s [mph], and the feel and stability is very positive at these low speeds." To Summarize As I hopped out of the airplane after our last landing I had one summary comment: This is a performance aircraft. I make this assessment based on the WT-9's level of performance but also on its complexity (retractable gear and constant-speed prop) and its light, responsive handling. I would not advise this aircraft for a new pilot. However, the fixed-gear, fixed-prop, lower-hp model may be a different animal. If the pitch is less sensitive than on the retract model, perhaps the Dynamic could be a starter aircraft. You can build a fixed-gear model the same way as the retractable. In fact, Skyshop recently delivered its first fixed-gear Dynamic to a customer, and Defelici is expecting a demo fixed-gear aircraft shortly. Fixed or retractable, the wings can be removed from the Dynamic in a reported 10-minute operation that allows for easy trailering. Skyshop sells the Dynamic in America for $54,000, but with a surging euro you should check with the Defelicis before you decide to buy. The Slovak Republic is not currently part of the European Union, so it doesn't use the euro—but prices can still vary due to exchange rate fluctuations. As with the Zenith 601 and 701 Skyshop also represents, the company offers a rather unique quickbuild program. With your Dynamic purchase, you will be scheduled for a visit to the factory in the Slovak Republic. It will be a working visit as you will toil alongside factory personnel in the building of your own Dynamic. Sometime after you return home, your aircraft will be shipped to Skyshop where the paint, interior and avionics of your choice can be added. As Skyshop says, "This allows you to be completely legal with the 51% rule." In a country waiting breathlessly for light-sport aircraft, the Dynamic offers a present-day choice for many KITPLANES® readers. Building is part of the joy of owning a kit aircraft, but I think you'll find the WT-9's performance, comfort, features and capabilities the most pleasing aspects of this design. FOR MORE INFORMATION, contact Skyshop at 772/223-8915; web www.skyshops.org. Notes: 1 for retractable model, as tested; 613 lb. if fixed gear. 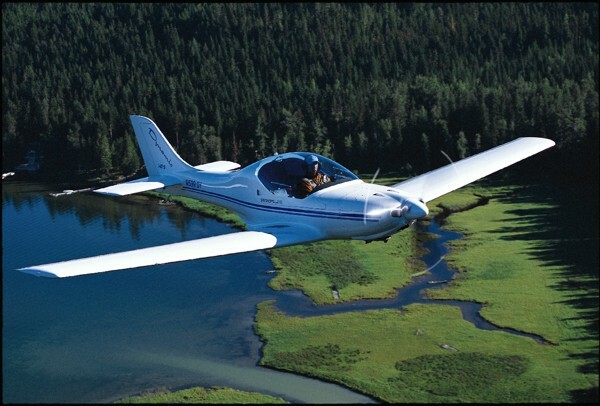 While many American pilots focus on SportPlanes™/ light-sport aircraft (LSA), sales of amateur-built kits continue. As the government crawls toward release of the new rule, the WT-9 Dynamic from Aerospool is one that might go both ways. You might choose a fixed-gear, Rotax 912 80-hp model that U.S. importer Dan Defelici believes may meet the proposed regulation. But today you can buy a retractable Dynamic and build and fly the speedster around the U.S. under the 51% rule. Since LSA will probably not allow retractable landing gear, flying a retractable WT-9 will require more than a Sport Pilot license. Getting Some Help The 51% rule intends that the owner of a kit airplane should build more than half of the plane. The FAA has created extensive checklists to assure that a wide variety of kits meet this rule. Factories often do the hard parts that require jigs and other special equipment.